Rear wheels easily removed to allow for marking close to walls, machinery, shelves etc. 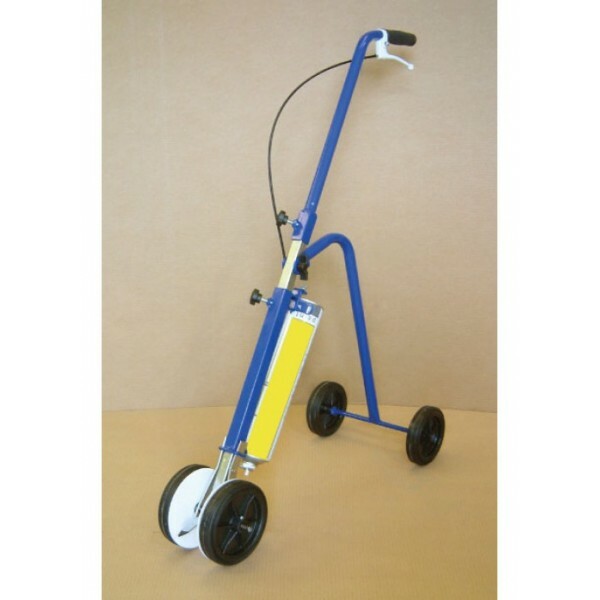 4-Wheel paint line applicator with 2 x 75l Cans of yellow line paint and 1 x Chalk lineMinimal assembly Uses one 75l can of line marking paint Easy and rapid line marking ? up to 25 meters per minute ..
Hand held paint applicatorSpecially designed for use in hand marking, use with stencils and to highlight objects, obstructions, steps etc. Use with a single can of line marking paint.. Synthetic resin paint in aerosol can (butane propelled)Line marking paint developed for rapid and effortless marking of indoor and outdoor areas Long lasting, durable and cost-effective Easy to use ? ..